Fashion's Night Out (FNO) is one of those nights, when we gather to experience shopping at its finest. It was first introduced in the US in 2009 by Anna Wintour. During the recession time, she wanted shoppers not to lose their spirit, hence shops were to stay open late for a night. It was also a good way for fashion brands to get closer to their clients and for the customer to get to know more about the brands. For the time of FNO, fashion brands treat us with surprises like stylist consultations, limited edition and free promotional items, discounts, catering and many, many more. Moreover we can see performances of famous Dj's, TV celebrities and meet inspiring people, sometimes designers themselves. It is also a great opportunity to forget about a daily routine and dress up a little. Whichever it is, we all can find a piece, most suitable for us, in this fashion fairy tale. Hence, we -Devoile- came to experience the atmosphere and to present you with the street style report of this event. 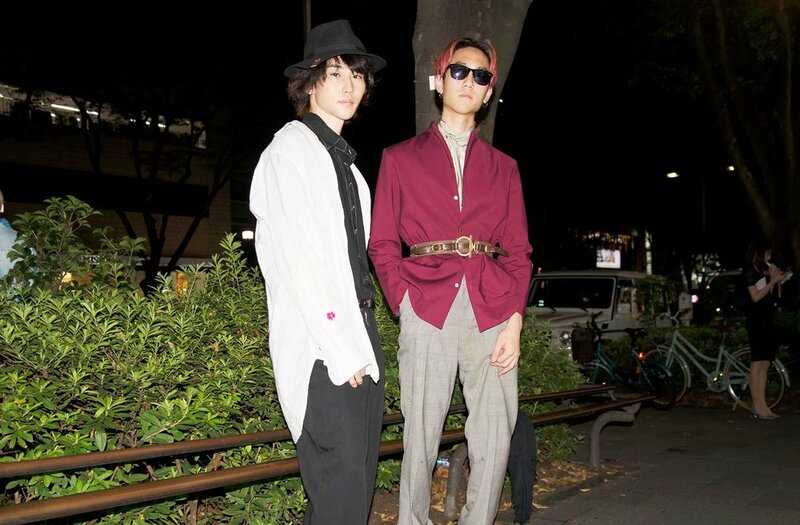 This year, FNO took place on September 9th in Omotesando/Aoyama/Harajuku area, known to be the Mecca of many trends and inspirations in Tokyo. The Event itself was a collage of colorful, big and nerdy style glasses and berets, in various colors and styles. We noticed the leather Dior berets that are probably to outstand this autumn. We also found a lot of jeans wear that throw us back to 80's, some with a lot of glitter; some extravagant dresses made from beads; and of course, the already cult Gucci loafers and slippers strutting the streets.